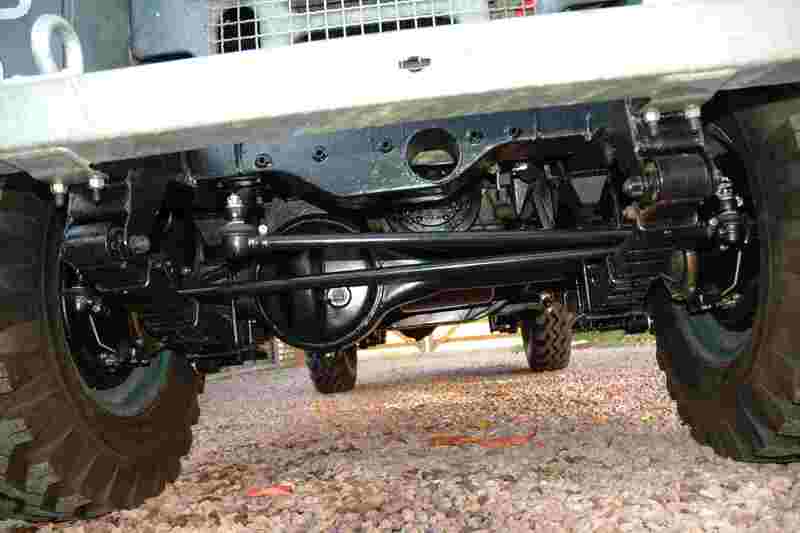 Quothquan Workshops offer a chassis rustproofing service. We tend to favour using Waxoyl products as they offer good rustproofing performance and value for money. The first stage of the rustproofing process is to thoroughly clean the Land Rover with a pressure washer. Once dry the chassis is wire brushed to remove any loose paint/surface rust and then inspected to make sure that no welding repairs are required. If the chassis does require repair then this is something that we can do before applying the waxoyl. Once the chassis is completely dry and any welding repairs completed we put protective covers over the brake calipers/disks, brake hoses, wheels and tyres before we start applying the Waxoyl. We spray clear waxoyl into all chassis cavities using a long flexible lance with a diffuser on the end to produce a mist of Waxoyl to ensure all internal sections are thoroughly coated. The outside of the chassis is given two coats of the thicker and more resiliant black Waxoyl. We typically use around 5 litres of clear waxoyl inside the chassis box sections and 10 litres of black Waxoyl on the outside of the chassis. 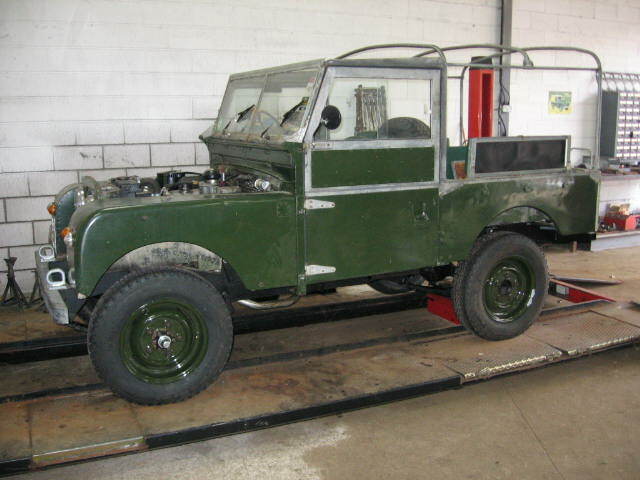 We need around three days to complete the chassis rustproofing, which gives enough time to allow the chassis to dry properly after cleaning and also for the freshly applied Waxoyl to cure before the Land Rover is collected by the owner. We prefer to do rustproofing during the warmer and drier months of the year and so offer this service between April and October. Although the rustproofing products can be applied in the winter months, it takes a lot longer to dry the chassis after cleaning and the Waxoyl does not flow as well in the colder temperatures. If required, we can also inject clear Waxoyl into bulkhead box sections/door pillars and also steel door frames. We can also apply alternative rustproofing products such as Dinitrol if preferred.